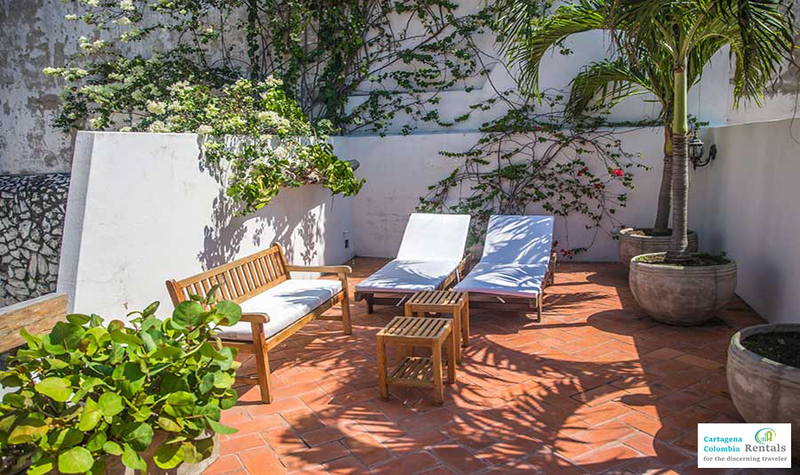 This fully furnished home rental in Cartagena’s old city is designed with a modern touch that makes it attractive to travelers from afar. 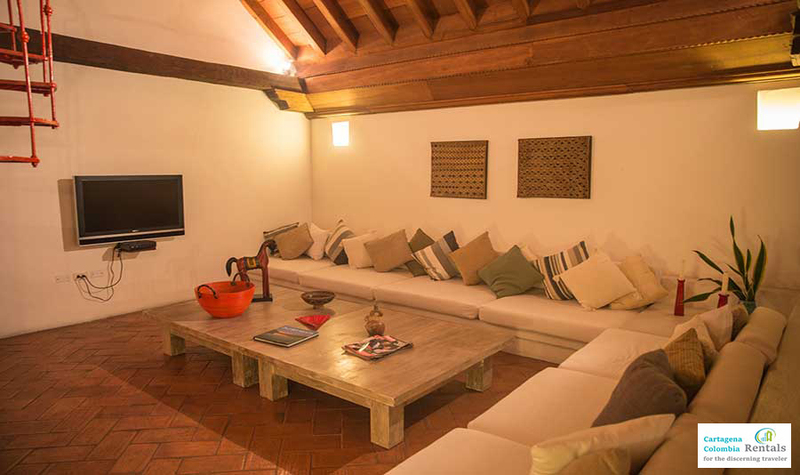 Casa Silva features 3 bedrooms all of which offer en-suite bathrooms and sleeps up to 8 guests. 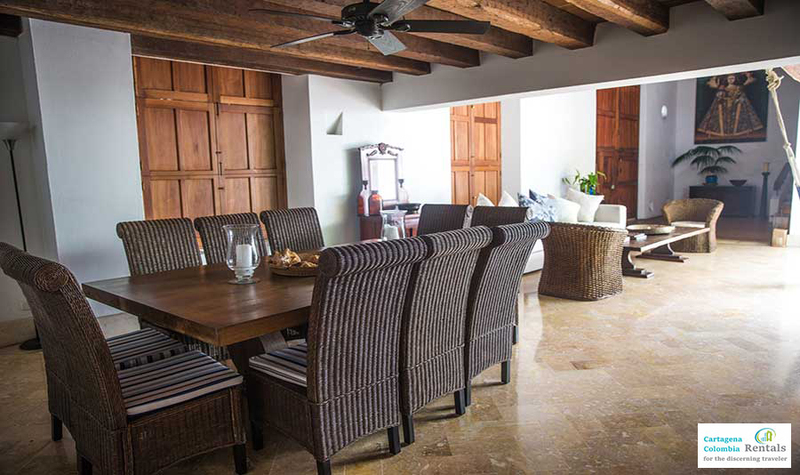 The public areas include multiple intimate seating areas, an open space living and an intimate dining area. 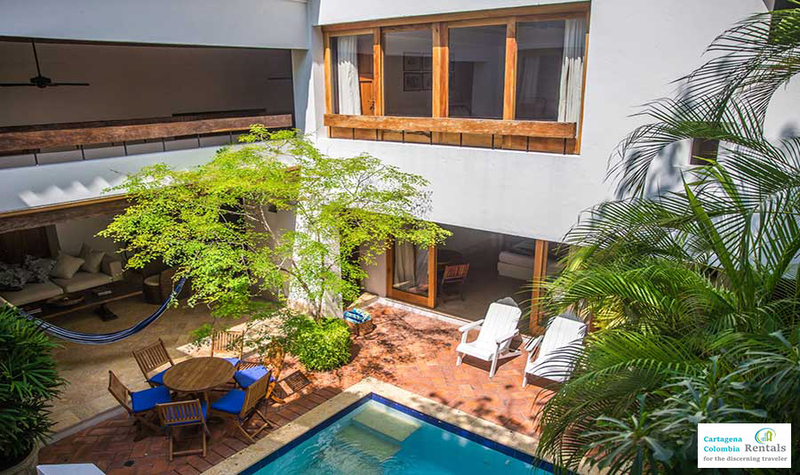 While it is one of the smaller properties available, it is also one of the most affordable. 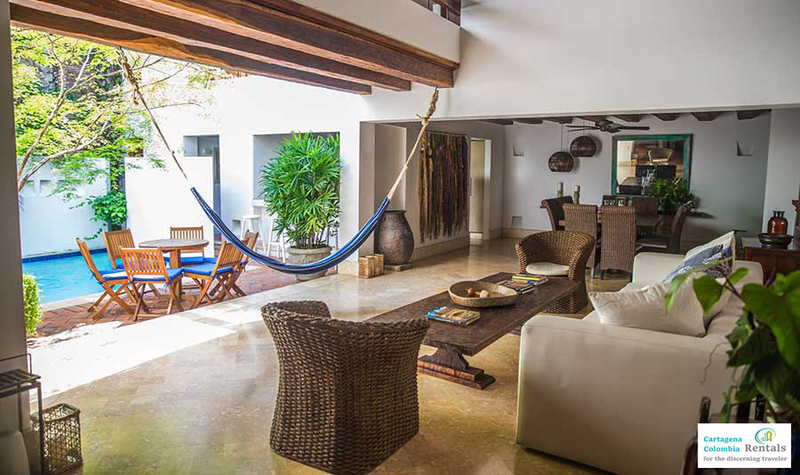 A simplistic color scheme unites each level of this three-story property and makes it appear much larger than you might expect. 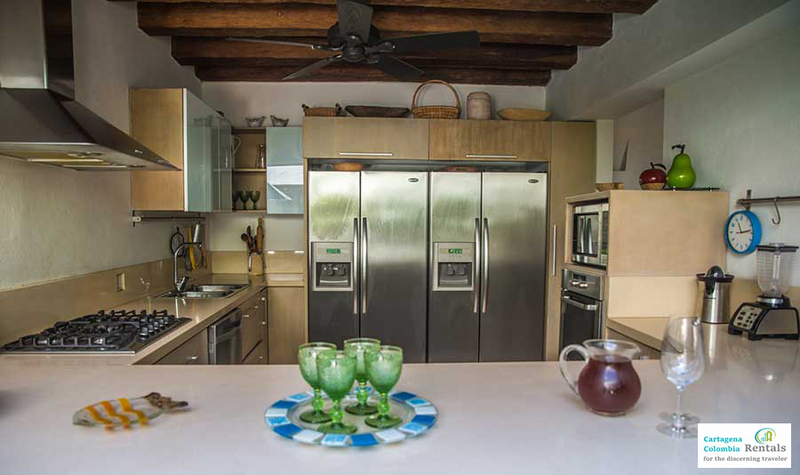 The fully equipped kitchen is on the small side but features everything you might ever need including fully modern appliances. 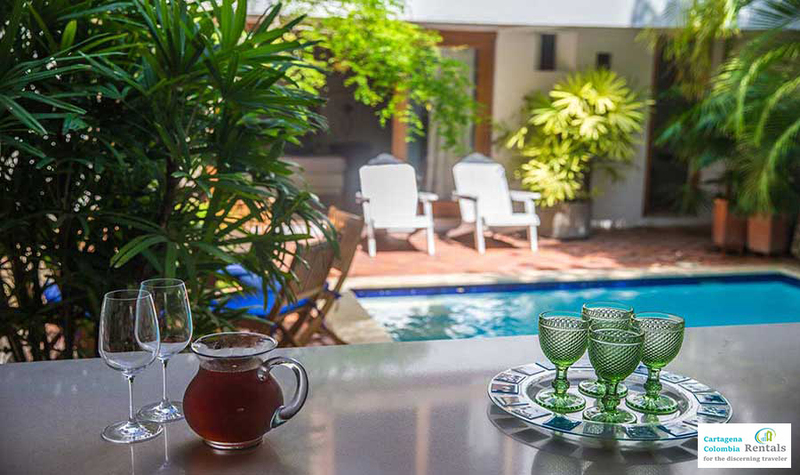 The kitchen also opens onto the heart of this property: the central pool and courtyard. 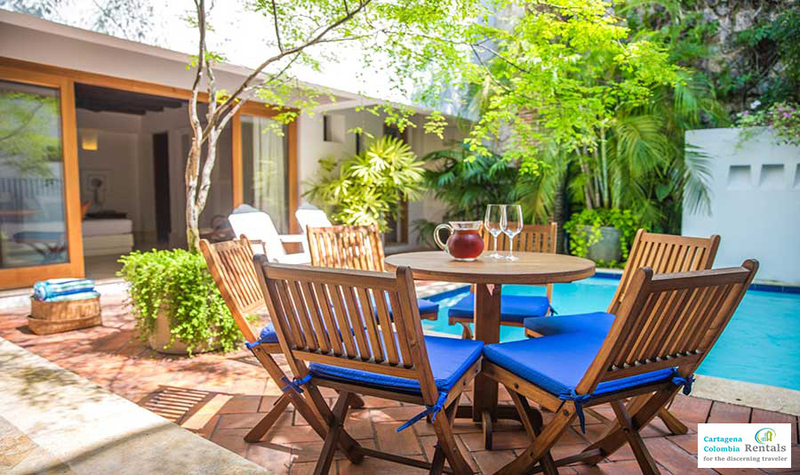 With intimate seating areas pool-side travelers can entertain guests or relax in the privacy of their own Caribbean escape. 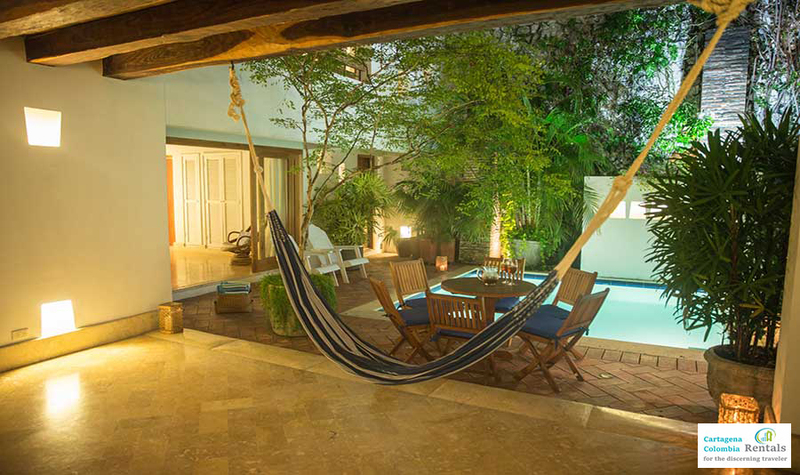 Sized for intimate groupings or even more intimate pairings, the romantic space rooftop solarium is the perfect place to unwind under the stars after a day of exploring Cartagena. 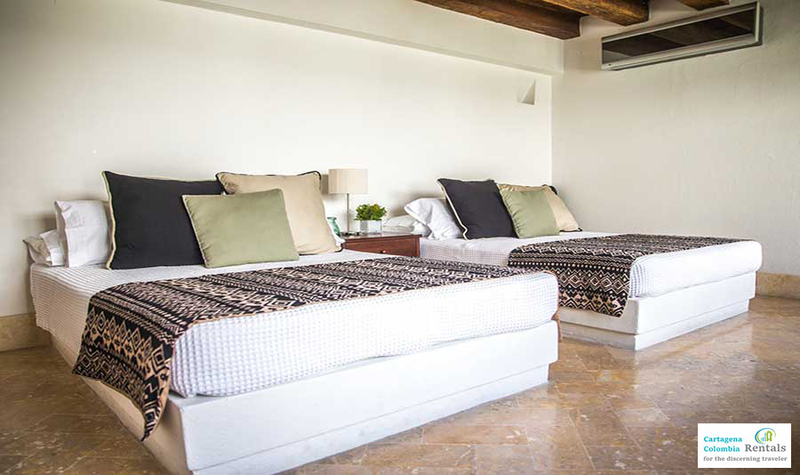 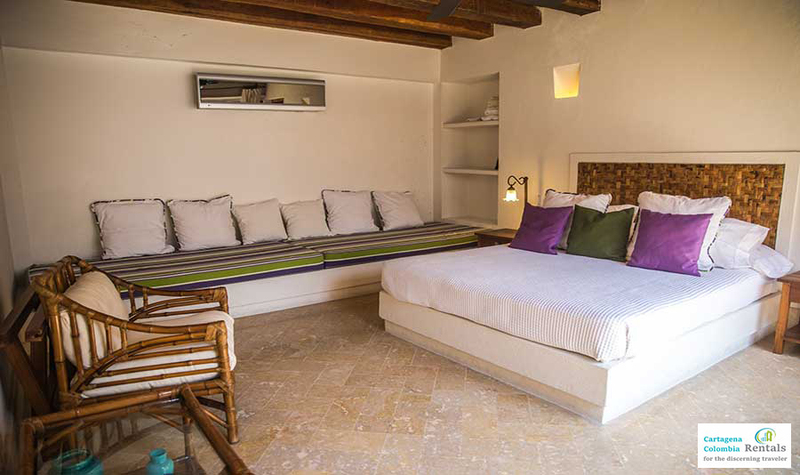 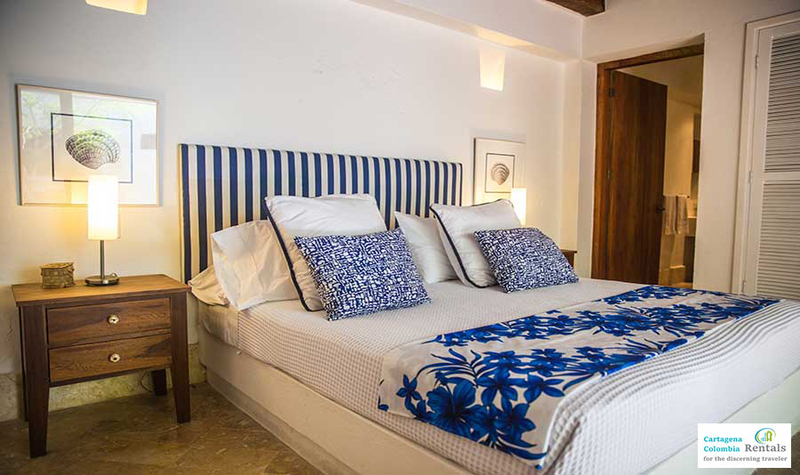 Two of the bedrooms at Casa Silva are equipped with Queen beds while the third features two full size beds. 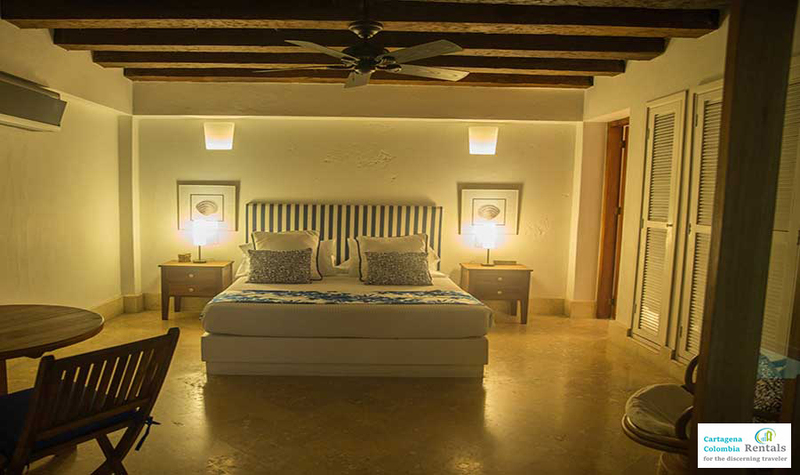 All are equipped with air conditioning and with ceiling fans for comfortable sleeping conditions even on the hottest nights. 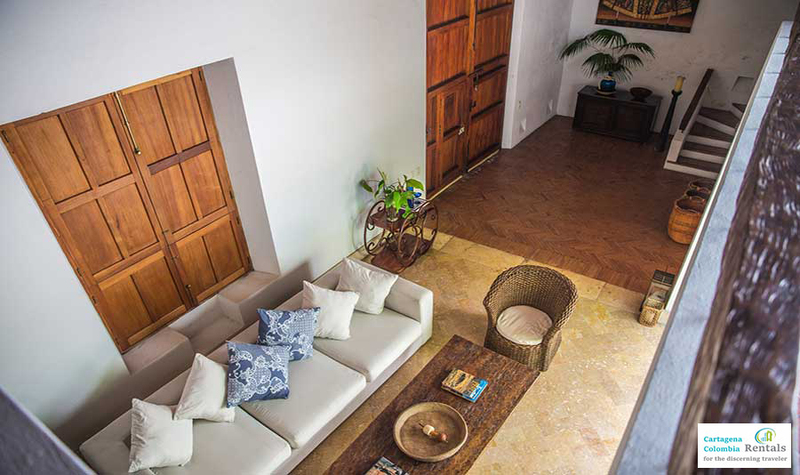 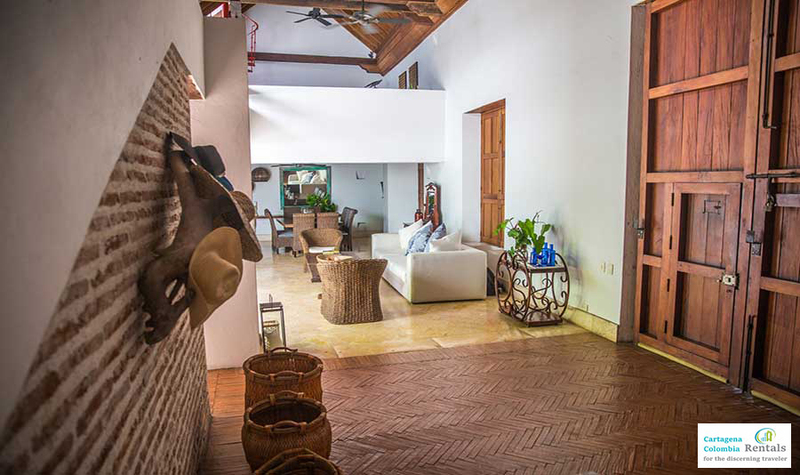 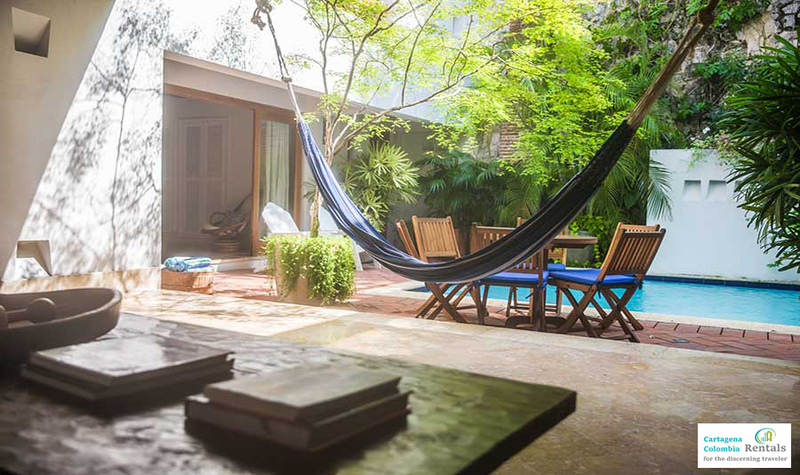 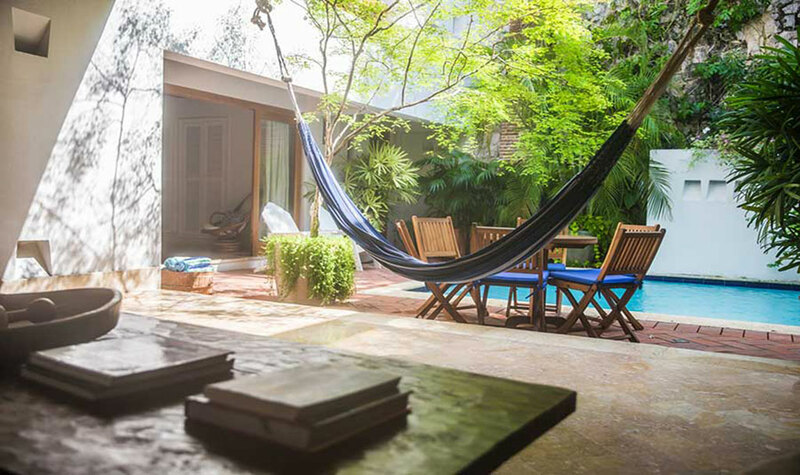 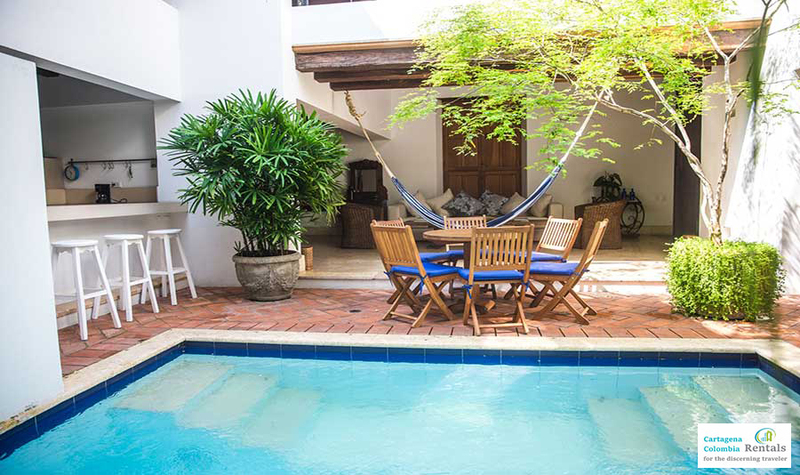 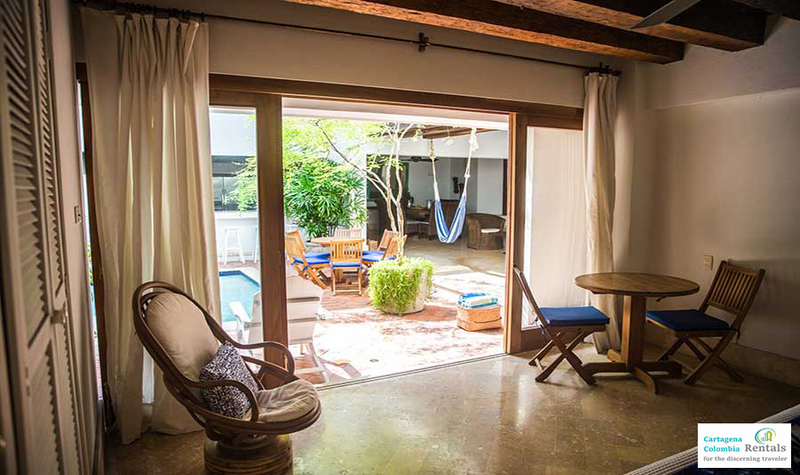 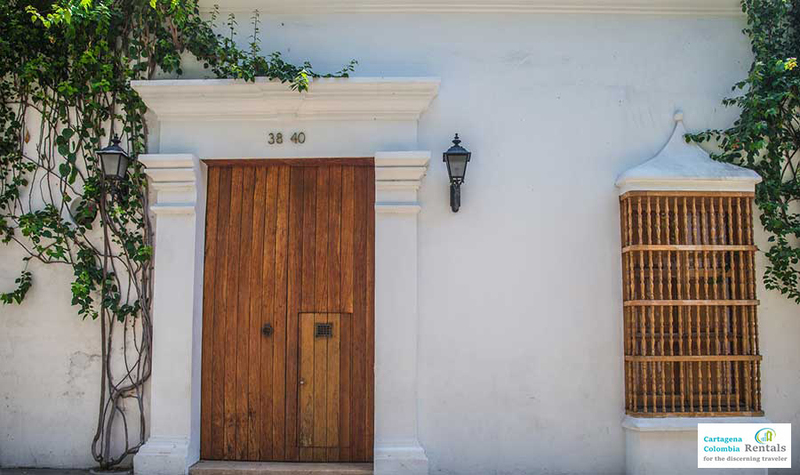 Casa Silva also features a full-time live-in housekeeper who can discreetly ensure your stay in Cartagena is perfect. 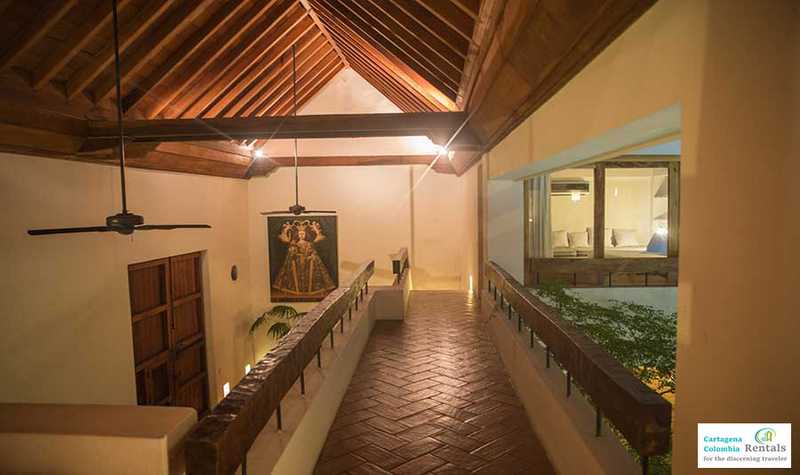 Daily maid service is included in the rate at Casa Silva.